Long Island is the largest and longest island in the continental US with a length of 118 miles. As of the 2000 Census the population of all 4 counties on Long Island was 7,448,618. The island was captured from General George Washington in the longest battle of the American Revolutionary War by the British. It remained under British control until the end of the war. Long Island was mostly rural through the 19th century. 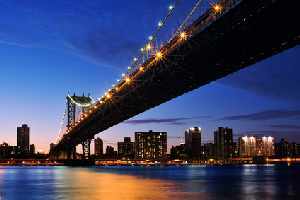 After the Brooklyn Bridge was completed in 1883 it allowed easy access to Brooklyn and caused development to increase. Up until that time the only way to reach the island was by boat. There are many attractions that bring people to Long Island. The Brooklyn Bridge was an engineering feat that must be seen to be appreciated. The Brooklyn Museum is one of the largest art museums in the US, attracting people from all over the world. The Mets new Citi Field baseball stadium is a draw for sports fans throughout the US. If you are into amusement parks then Coney Island is the place to go. It has been around since 1880 and has entertained millions of people throughout the years. Splish Splash - a 96 acre water park offers the latest in water park fun. It has been rated one of the top 5 water parks in the US. It you are into nature then you need to spend a day at the Planting Fields Arboretum State Historic Park. With 400 acres of vegetation, over 500 types of shrubs and trees. There are miles of walking trails, gardens, greenhouses and amazing plant collections. If the nightlife is more your style there is always plenty to do on Long Island. You can find whatever style of music you are into performed live on just about any night of the week. Theater and dance abound and the melting pot of New York City offers up a new adventure for younger and older every night of the week. 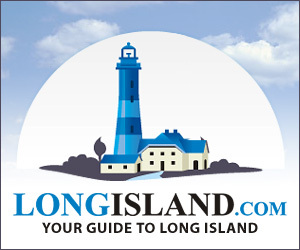 If you are planning on a trip to visit Long Island anytime soon, spend a little time researching the plethora of things to see and do on Long Island. Whatever your pleasure may be, there are plenty of ways to entertain yourself while your tour Long Island. Make your way to Long Island and see what it has to offer you. You'll be glad you came to visit and may find you want to call it your home.